Technology Services of Iowa, LLC: New Toys! New Games! And more!!! New Toys! New Games! And more!!! This week all new toys, games, computers, HDTVs, cameras and so much more flooded our doors and we have so many fantastic new items! Come check out all the new goodies you can get here at your local Shack as we prepare to expand our borders and be your destination location for gifts, gadgets, high-tech gear and more! 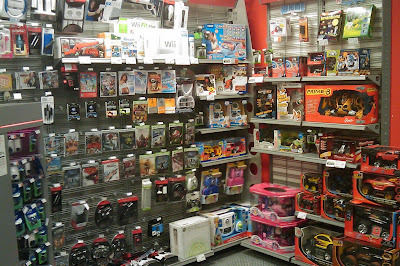 Take a look at all the toys, games and video gaming items there are! Come in and see all we have to offer at Kalona RadioShack!